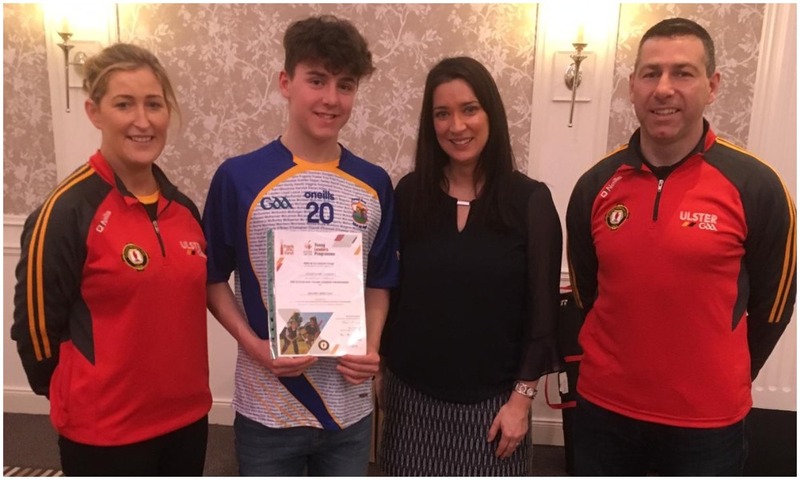 A big congratulations to Joseph McCarney, who was one of the 33 Young Leaders awarded with their final certificates at the Ulster Club Final on Sunday. “Back in the summer, 33 young people from across nine Ulster counties were selected to undertake a comprehensive programme to develop their skills and knowledge across GAA issues. “As young GAA volunteers each young person makes an important contribution to the development and operation of the GAA in their clubs. We hope through this programme, their volunteering will continue for many years to come and that they will become the GAA Leaders of the Future. Great to see Joseph representing himself, his family and of course his club with such distinction both off the pitch and on! !